This admission sounds a warning bell: her past is ripe for resurfacing and Constance’s already fragile state of mind is in for a good rattling. When she and her sister, Iris, return to Ravenswood for Christmas, Daddy makes a devastating revelation that challenges everything Constance believes about herself. The resultant course of action threatens to destroy her already tenuous relationship with her sister, her marriage and her sanity. The narrative is split between Constance and Sidney—she turning progressively inward, fixating on the past, making herself a victim of her history, and he the increasingly baffled, yet ever patient voice of patriarchal reason, the victim of his wife’s ‘hysteria’. Both vie for the reader’s sympathy and the chance to play the ‘innocent wronged’, yet they undermine each other’s credibility with their conflicting accounts of events. For the reader, being whispered to by two unreliable narrators in conflict with each other becomes increasingly unsettling. However, unlike many narratives dealing with a ‘hysterical woman’ in which a female character is coloured crazy by the men around her, either because it suits their interests or because they aren’t sensitive to what has actually happened to the woman, Constance is very much disturbed. She speaks to herself. She hears voices. Rather than recognising the seriousness of her illness, Sidney sees it as an endearing quirk, admitting: ‘I recognised this so-called sickness in her from the start, the impression she gave of an inner fragility, of there being no foundation, or if there was, whether or not it could hold up under pressure. And this was what aroused my love.’ Constance clings to one unsuitable man in order to flee from another in a vicious cycle, with what she calls a ‘repetition complex,’ and the question of the story quickly becomes: will she learn to be her own woman, as she already believes she is at the start? In style, Constance is a good ol’ fashioned Gothic romance blended with a crime thriller. McGrath’s New York is a city in decay: Sidney’s shadowy apartment, a run down hotel and the half-demolished ruins of Penn Station. But the rotten heart of this story lies in Ravenswood, Constance’s childhood home where Daddy still lives—an old school ‘haunted house’ on the banks of the Hudson River, complete with a turret, murky interiors, a room full of stuffed birds, a housekeeper with a secret and the spidery, decaying figure of Daddy himself. While McGrath covers all the Gothic tropes, his prose has a simplicity and clarity that belies the ‘writing of excess’ typical of the genre. Violent sexual acts are dealt with swiftly, in short, crisp sentences and emotional collapses relayed with clinical coolness. Rather than alienating, this economy of words adds a further level of unease—much like a Patricia Highsmith novel, where murder and mixing a martini are described with the same detailed detachment. 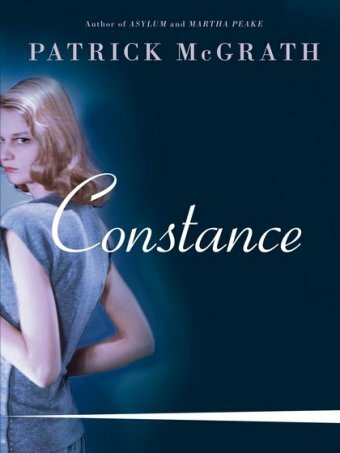 In fact, if Highsmith and Daphne du Maurier had collaborated, they would have produced a novel very like Constance. This entry was posted in Books and tagged book, Gothic, hysteria, lip lit, Margot McGovern, novel, Patrick McGrath, Review, thriller. Bookmark the permalink.